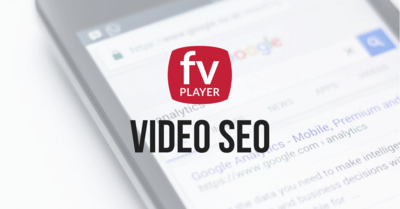 Patrick Dankers was looking for a better, simpler and faster video solution for his site and found a perfect match in FV Player. Our plugin quickly outgrew the whole concept of shortcodes and it was clear it can't use shortcodes forever. It's time for database storage of your videos. 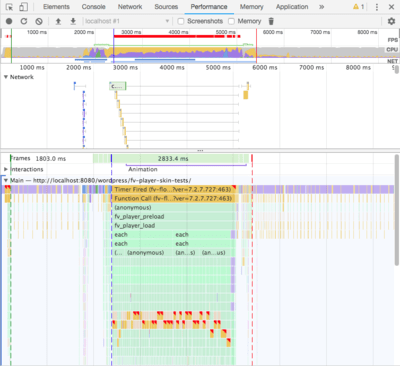 Hidden animated SVG graphics increase the CPU load too much. Flowplayer made a mistake in their version 7 skins. Here's how to fix similar issues. FV Player 7.2.5.727 brings new skin settings, playlist next/prev buttons, fullscreen button in bottom right corner and improved HLS streaming. 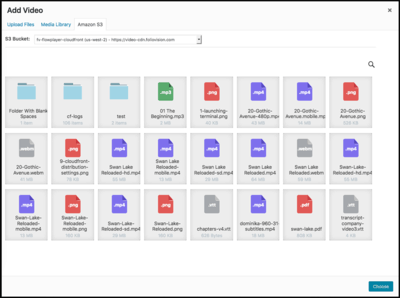 FV Player 7.2.0.727 now lets you pick files from Amazon S3 buckets directly and also plays videos in lightbox automatically. 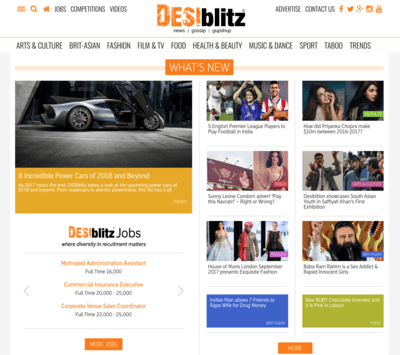 The new version has been available as beta for licensed users for a while. 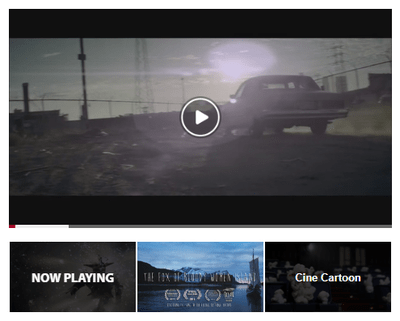 Then it was introduced to all the new users installing FV Player – both free and licensed. Now are are happy to announce that FV Player 7 is the new stable version! FV Player gets a new fancy looking lightbox. 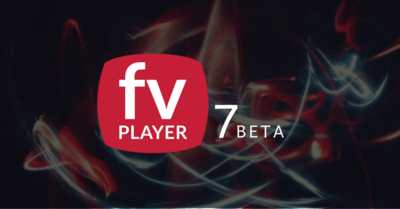 Free users can get FV Player 7 Beta too. FV Player 7 brings improved design and skin options, support for mobile autoplay and improved video engine. 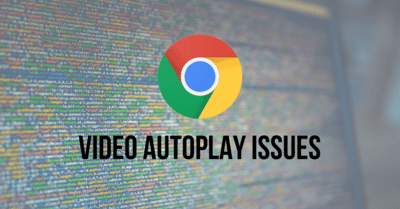 Web browsers are trying to protect users from sudden video playback on websites which the user doesn't know. vi.ai has an amazing offer for FV Player publishers which is a free ads solution with no upfront investment. 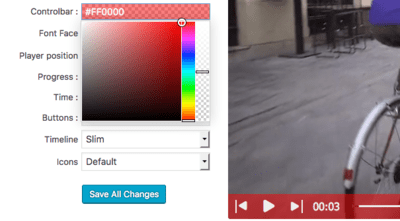 FV Player's newest update to version 6.5 brings some bug fixes, an updated MPEG-DASH library and two brand new features - video position saving and custom video fields. This new feature is available for all users of FV Player. It will allow viewers to continue watching the video from the exact point they left it at. That doesn't require any viewer input, they can just leave the page and when they return and play the video again, it will automatically continue from the point at which they closed it. The best part is that this works both for users that are logged in and also for guest users. Logged in users' video position information is stored in the usermeta and guest users' position information is in a localStorage or in a browser cookie. Logged in users will therefore be able to start watching a video on desktop, and then continue on mobile. 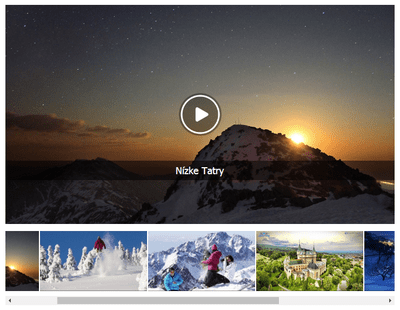 This is especially good for websites with longer videos, like movies or lessons. Adding subtitles to your videos is always a great idea. They can let the viewers watch it without sound (which is important for the silent autoplay, that is making it's way to the new versions of iOS and Android), make it easier to understand what has been said if the audio is too noisy or lower quality, and help non-native speakers better understand the spoken word. It's also necessary for people with hearing impairment. 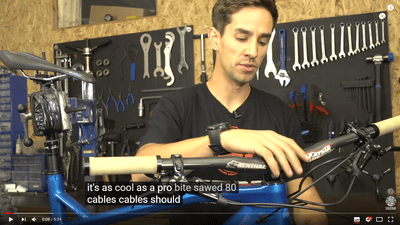 YouTube understands that and they encourage the content creators to add subtitles to their videos. They offer a great way to easily create transcripts, which is usually a time-consuming process, or requires a specific and expensive software. It offers two options: creating an automatic transcript and putting in your own text and have it synced automatically with the video. 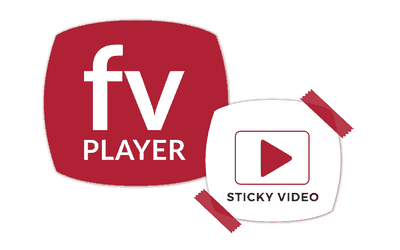 Sticky Video is a cool new feature that we recently added to the free version of FV Player. When active, it will create a small video box that will float when you scroll below the original video. See how it works in this video and you can also scroll down past the video to see it in action! As you can see, the video box will appear automatically. It can be closed if the viewer wants and contains all the functions of the regular player. The mini video box will also hide when you scroll back to the original video and re-appear when scrolling down again. Read our Sticky Video guide to learn more about it. Splash Text is a new and more appealing alternative to the classic video captions. 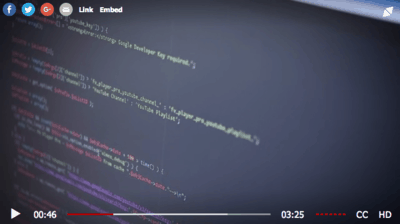 It will let you write a text that will be shown in a stripe overlaying the video - it looks very similar to the "2017 with captions" playlist design. I recently received an email about our FV Player Pro plugin licensing and pricing. filmmaker Paul Moon's questions were good ones. Here are my answers. Thanks for your email and your questions. I'm delighted to answer your questions. I am very bothered by what appears to be a surprise limitation on my purchase: https://prnt.sc/gerwa6. That is a screenshot of my license upon purchasing FV Player Pro. THERE IS NO PLACE ON YOUR WEBSITE CLARIFYING A LIMITATION ON MY LICENSE. For you to add this only after I paid, is unacceptable. I'd like to understand what happened. A product is completely worthless when it expires after 1 year. Your license never expires. You can continue to use the last version indefinitely forever. 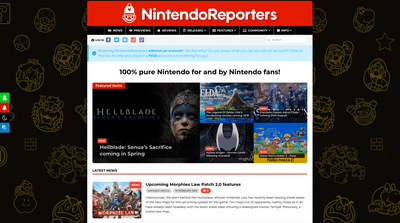 The main sales page clearly states: "All updates and support free for 1 year." The Pro version of our FV Player recently got some interesting new features and more are on the way. 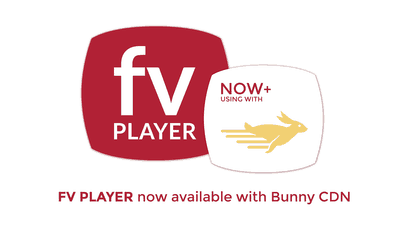 FV Player Pro now has a new hosting option - BunnyCDN. This network with a funny name and a claim that says it's powered by bunnies is actually one of the cheapest storage/CDN solutions available, with the prices starting at $0.005 per GB for the global distribution. You can also select only specific regions. BunnyCDN offers everything you would expect from this kind of service - easy-to-use storage and distribution Pull Zones setup in a user-friendly interface with the possibility of adding the signed URLs protection to your videos via authentication token. FV Player's latest version 6.3 will brings new design options for playlists and also integrated support for the Visual Composer plugin.